Meg, Jo, Beth and Amy manage to lead interesting lives despite Father's absence at war and the family's lack of money. Whether they're putting on a play or forming a secret society, their gaiety is infectious. Written from Louisa May Alcott's own experiences, this remarkable novel has been treasured for generations. About Ann M. Magagna (Author) : Ann M. Magagna is a published author of children's books and young adult books. 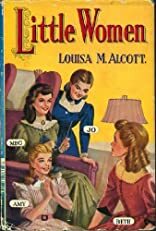 Some of the published credits of Ann M. Magagna include Little Women (Golden Classics). About Louis Jambor (Illustrator) : Louis Jambor is a published author and an illustrator of children's books and young adult books. Some of the published credits of Louis Jambor include Little Women (Golden Classics).